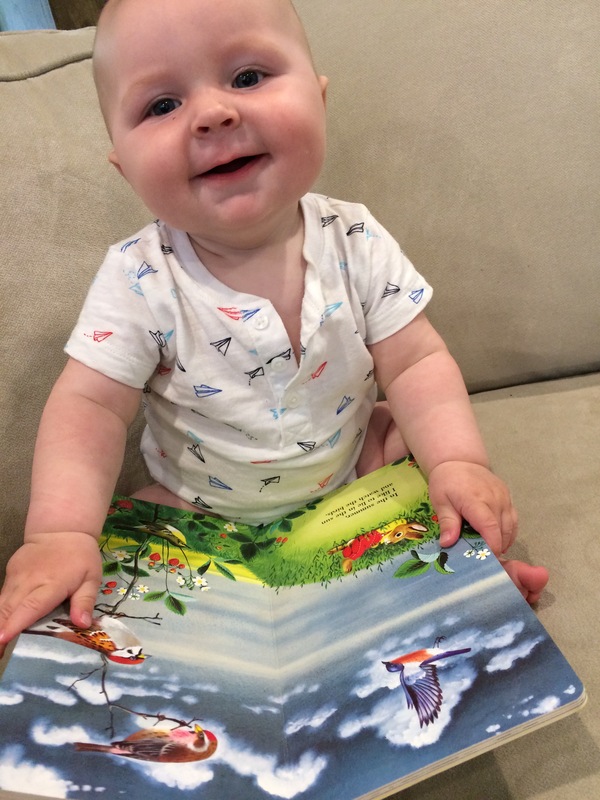 Well here I am, a couple days late again, posting Miles’ monthly update! We had such a busy, fun filled week with my parents that I forgot to do it on time. Sorry (again) buddy! 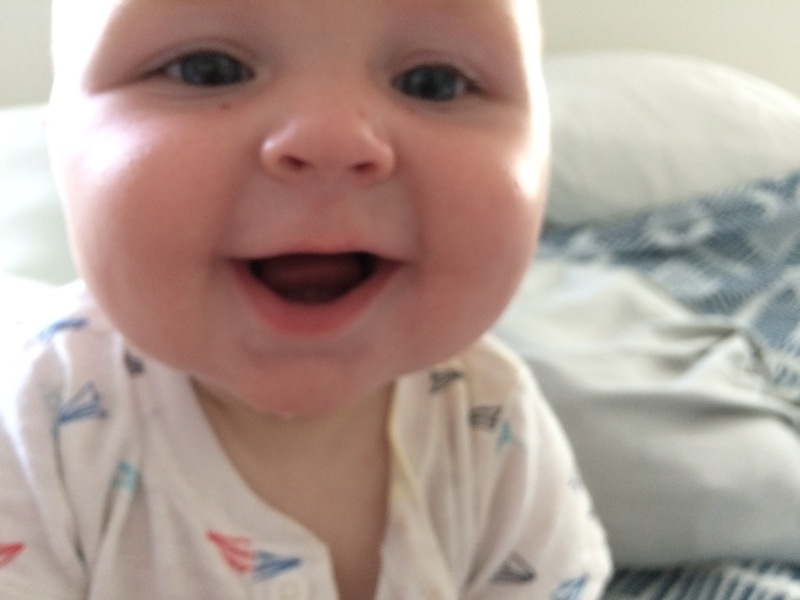 I think the biggest news this month was that Miles had his first tooth breakthrough! He tried his first solid foods in the past couple days (blueberry and banana) and is getting a little better about drinking formula and breast milk out of a bottle. He’s awesome at sitting up and loves to jump around in his kangaroo. We’ve been to Mommy and Me Yoga twice and he giggles the whole time. 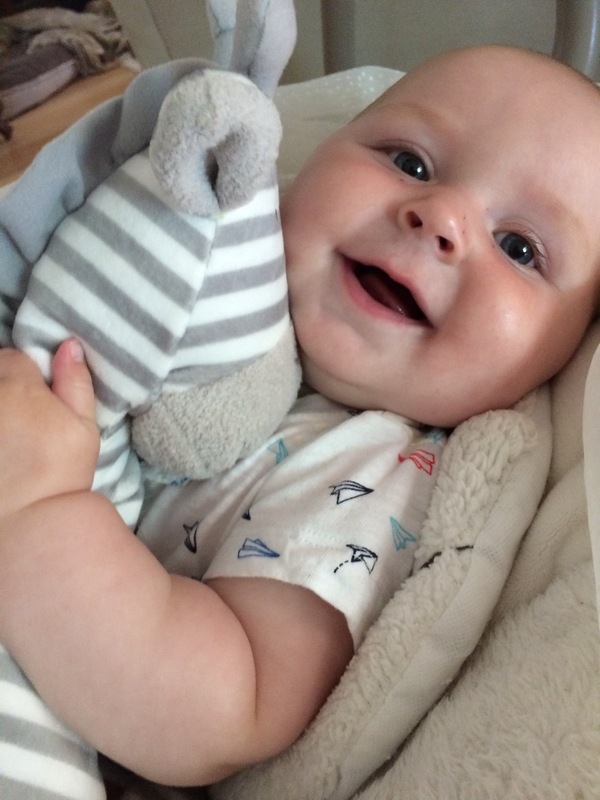 Just the sweetest, cuddliest, smiliest, chubby 6 month old that we love so much!